This week I’m featuring a very dear teacher I had in high school, Edward Mooney. I learned so much from him and am honored to feature him on my blog. If you’ve ever loved someone to the depth of your being, someone who for one reason or other needed to move on, you know the power of a parting wish. The story of Joseph and Anne, his wife of fifty-three years, is the story of just such a wish-one that only true love could try to achieve. And for Joseph the strength to build the stone wall-a special reminder from Anne’s childhood-will take him places he never expected and that you will never forget. “The long awaited “prequel” to The Pearls of the Stone Man is here. In his touching new novel, Edward Mooney, Jr. continues the story of his main character, Joseph Marino, that so captivated his readers in 2002. Mooney’s first novel took the reader on an incredible journey through the last months of Joseph and his wife Anne’s marriage — addressing the fateful events that took place at the ending of their lives together on Pine Mountain. Edward Mooney, Jr., was born in Massachusetts and raised in California. He started on his writing journey in 1992. 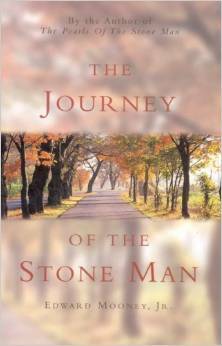 His books include “The Pearls of the Stone Man” and “The Journey of the Stone Man”. The final book of that trilogy, “The Hope of the Stone Man”, is in the works. His first manuscript, “Toy Jeeps”, is in submission at this time. After a few years working in computers, Edward taught high school science and social studies. He was named the Teacher of the Year for the state of California in 2010 by the Daughters of the American Revolution. He is now a college professor – specializing in teacher education. He holds the degrees of Doctor of Education, through Northeastern University in Boston, Master of Arts, from the University of California, Riverside, and Bachelor of Science, from Montana State University. Edward lives in Northern California. All Rights Reserved. 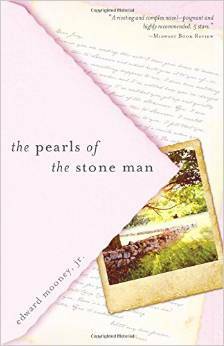 ©1994-2015 Edward Mooney, Jr.
Edward Mooney week continues tomorrow with an excerpt from The Pearls of the Stone Man.